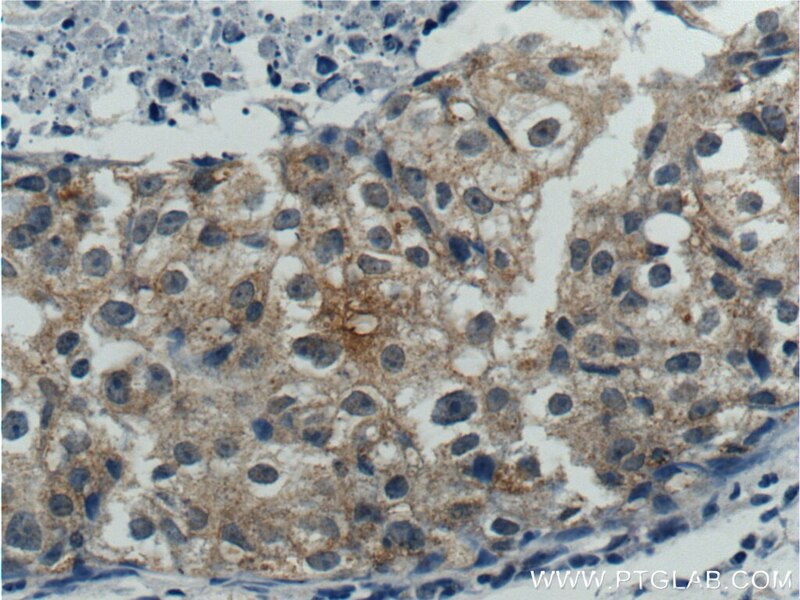 Immunohistochemical analysis of paraffin-embedded human lung cancer tissue slide using 26587-1-AP( p70(S6K) Antibody) at dilution of 1:200 (under 10x lens). 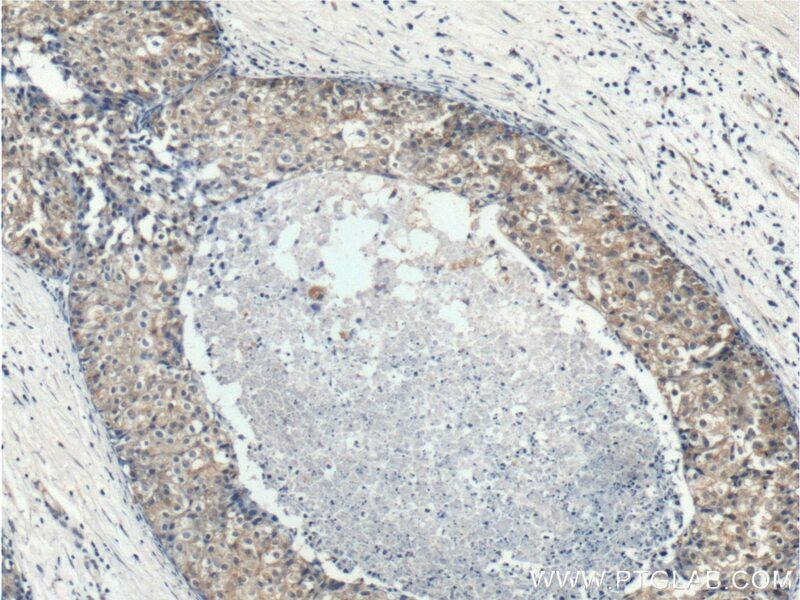 Immunohistochemical analysis of paraffin-embedded human lung cancer tissue slide using 26587-1-AP( p70(S6K) Antibody) at dilution of 1:200 (under 40x lens). 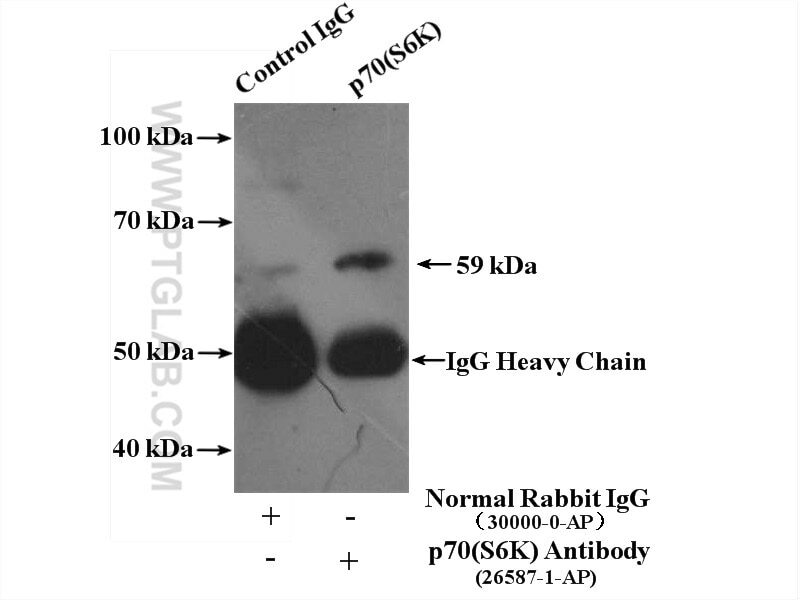 IP Result of anti-p70(S6K) (IP:26587-1-AP, 4ug; Detection:26587-1-AP 1:300) with A549 cells lysate 1600ug. RPS6KB1(Ribosomal protein S6 kinase beta-1) is also named as STK14A, p70 S6KA and belongs to the S6 kinase subfamily. 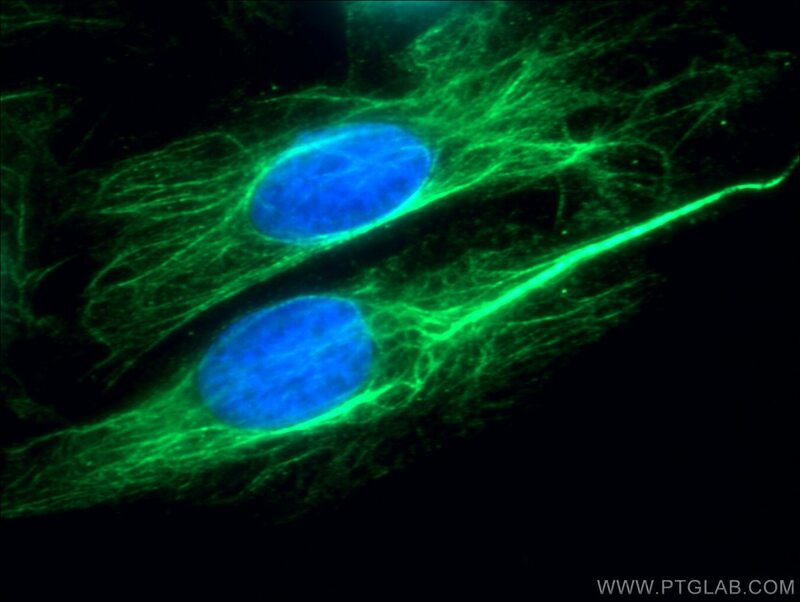 RPS6KB1 is a major substrate of MTOR and acts as a crucial effector of MTOR signaling pathway. It plays a key role in cell growth and proliferation by regulating insulin sensitivity, metabolism, protein synthesis, and cell cycle. RPS6KB1 may play an important role in the progression of HCC and could serve as a potential molecular target for HCC therapy (PMID:22684641). RPS6KB1 is a 70 kDa protein and has 5 isoforms with the calculated molecular mass of 51-59kDa produced by alternative initiation. 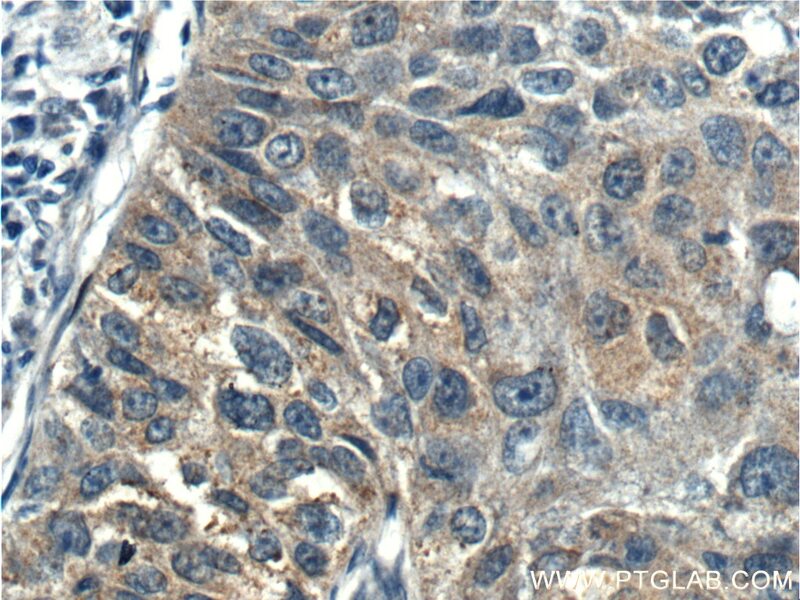 Immunohistochemical analysis of paraffin-embedded human breast cancer tissue slide using 26587-1-AP( p70(S6K) Antibody) at dilution of 1:200 (under 10x lens). 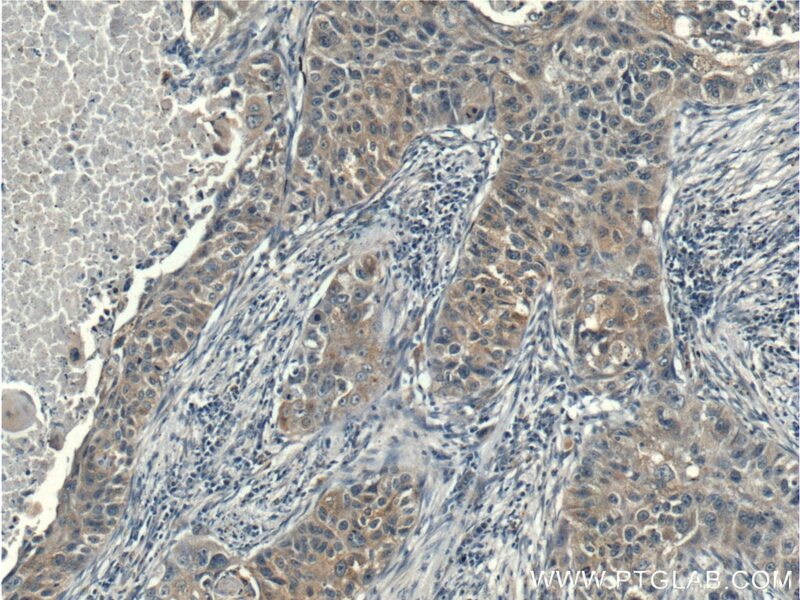 Immunohistochemical analysis of paraffin-embedded human breast cancer tissue slide using 26587-1-AP( p70(S6K) Antibody) at dilution of 1:200 (under 40x lens).